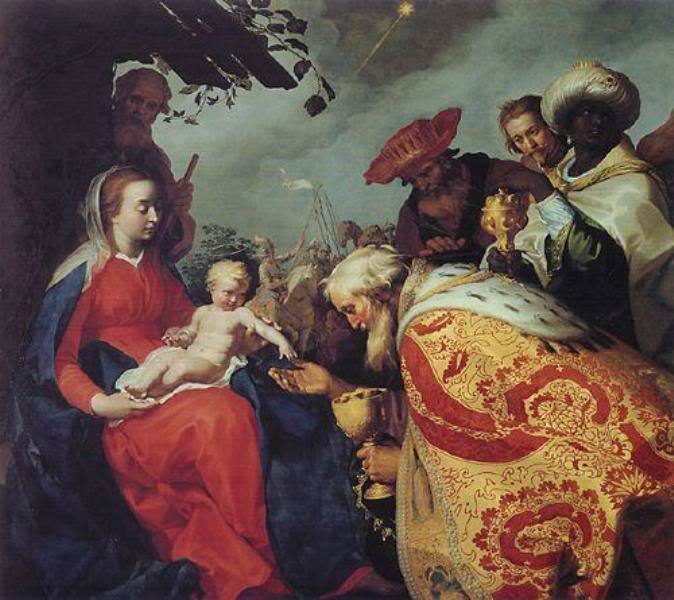 The feast of Epiphany is one that has come to the Western Christian church after originating in the Eastern Christian churches which grew from gentile or non-Jewish origins. The feast was seen as the manifestation of the humanity of the Son of God and was very much tied into the baptism of Jesus. The story of the magi and the word of God from the cloud was seen as the beginning of salvation leading to the crucifixion and resurrection. The Baptism of Jesus will be celebrated next week, the octave of the Epiphany. Christians in the eastern tradition still celebrate the Epiphany as the primary feast of the presentation of the Christ child even though they also have Christmas in their calendar. The feast does show that non-Jewish Christians were not so much concerned with the Davidic lineage and Jewish scriptures as they were aware that God became man for all humanity so that all were called to a life with God. Over the centuries the Eastern and Western traditions blended together but also had and still have their differences. The various councils of the church strove to resolve the many issues over the centuries. However, the key message of Emmanuel, God with us, is still present I both east and west and Jesus’ core message of love and forgiveness remains regardless of how much we try to make what is simple complex. 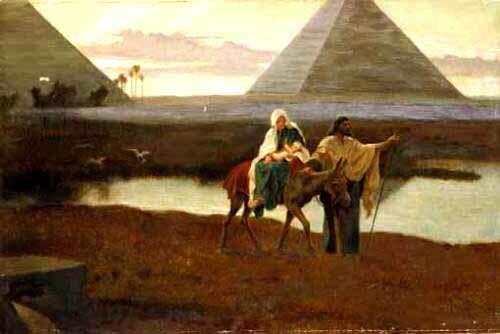 We are all called to pay homage and follow this child, to find God’s manifestation as the magi did. While we might not have a star to guide us, there are countless numbers of people around us to bring Christ to us. Whether we encounter believers or reach out to help, to aid, to feed the hungry, we do it to him for he is present there. 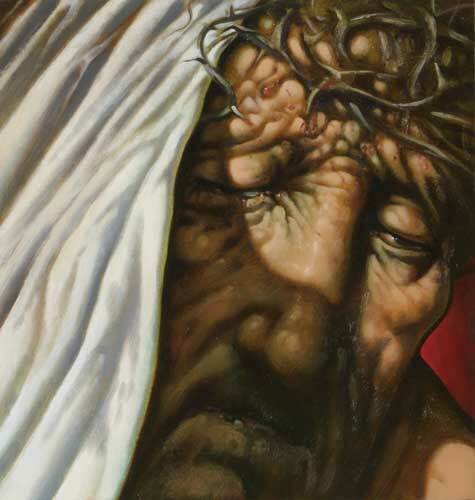 He is in the least of us, for did he not say “What you do for the least of my brothers and sisters, you do for me?” Surely, Christ has died and risen and gone to his Father, yet still he remains among us in his Spirit and manifests himself in all kinds of ways even today. In the feast today we are reminded that Christ is here and we carry on his work and spread his work. It would seem we are more active at Christmas, but it is as good a time as any to resolve to carry on the good we have done and maybe do more throughout the year. The homeless and hungry are still with us. How selfless are we called to be? Do we miss what is around us in terms of those in need? It is easy to dismiss the needy person and pass them by because we are in a hurry or distracted. Remember, it is the giving that is important. Christ put no strings on anyone but to believe and do better. What more could we ask? We are not judges or keepers of morality. We should give as Christ did remembering people must make their own choices, we can only point the way and watch and wait. In giving of our selves, our goods and our time, we can be thankful that we have brought Christ to another. Reflection on the gospel reading: Here at the start of John’s gospel, there are some extraordinary claims made about who Jesus is. These claims relate closely to an experience of him by people who saw him, heard him, touched him, knew him. Add to this testimony the willingness of many of those who saw, heard, touched, and knew him to go to their deaths for what they had seen and what they had heard, claims such as those which we have in the Prologue are powerful indeed. Scholars have conjectured that the Christological hymn in Philippians which confesses to the glory of God that Jesus Christ is Lord was being sung in Jerusalem within five years of the crucifixion. There is evidence that a substantial Christian community existed in Rome only 14 years after the resurrection. We close another year fully conscious that God has blessed us but also aware that human nature always admits of failure. We trust God to wipe away every tear and make all things new again. Joy to each of you in the new year 2014. May we all love the Word, the man Jesus, who is our divine Lord, still more dearly next year on this day than we today at the end of year. That journey into the love of Jesus begins right here, right now. As it was when we started 2013, so it is now, and will be to the end: Praised be Jesus Christ! Saint of the day: Born in 1929 in Tshilombe, Kasai-Occidental in the Democratic Republic of Congo, Honoré Mudiangombe, a priest of the ‘Merode mission in South Kasai, was killed on New Year’s Eve, December 31, 1961, together with the driver of the truck in which he was traveling by soldiers of the national army. Fr. Mudiangombe had been acting as protector for a number of ‘Merode families who were ‘migrating northward to the provincial capital of Luluabourg, and had traveled with them in a hired truck as far as the South Kasai frontier. On the return trip to ‘Merode, the driver of the truck, who was also the owner, picked up some passengers. On reaching the bridge over the River Lubi, Congolese national army troops stopped the truck and claimed that Fr. Mudiangombe was escorting a group of Jeunesses–organized young armed bandits. When the passengers panicked and fled, the soldiers blamed the driver and killed him on the spot, only leaving enough time for the priest to give him absolution. Fr. 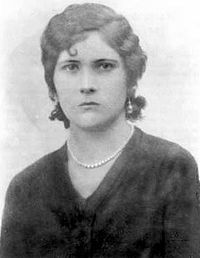 Mudiangombe was taken hostage and pushed into the truck, which the soldiers then drove towards the bridge, where they were attacked by some real Jeunesses. The soldiers, assuming the priest was responsible, killed him without further inquiry and threw his body into the river. Reflection on the gospel: Luke tells us that an old woman who remains continually in the temple, worshiping God night and day as she fasted and prayed, recognizes who the child is when Mary and Joseph bring Jesus to the temple for the purification prescribed in the Mosaic Law. To all outward appearances, this is an ordinary infant, the son of two marginalized people. But Anna’s prayer and meditation gives her the ability to look beyond mere appearances and see the truth of matters hidden from other eyes. The passage tells us that, recognizing the child, she gives thanks to God and speaks of the child to anyone who listens. Anna’s spiritual practice gives her a heart not only deep insight but a heart tender with gratitude and bold with witness. Most of us have not seen all three of the gifts of the Wise Men – gold, frankincense and myrrh, so I brought some in today for us to have a look, but particularly in the context of the story we are told today on this Feast of the Epiphany. I will be concentrating predominately on the Gospel today from Matthew though I will try to tie in the other readings as well. Kar Rohner in a sermon he gave on this feast made what I think is a really interesting and insightful point. He noted that the feast of the Epiphany is at the end of what we still call Christmas, and that there is a circular pattern set up with the Feast of Christmas and the Feast of the Epiphany. On the Feast of Christmas God came to us and gifted us. On the Feast of the Epiphany we came to God and gifted God. If we think about that for a moment we can get overwhelmed by the beauty and symmetry of it. God lowered who God is, and came to earth in the lowest of human forms – a baby, helpless and fragile. God who is all powerful, all-knowing, became one of us in our most primitive form. If that wasn’t gift enough, God came bearing the gift of grace that Paul tells us about in the Epistle to the Ephesians today, and that we receive not through any merits of our own, but simply because God loves us and chooses to give us this. On Epiphany we celebrate the reverse. The three Wise Men or Kings as they are sometimes known as, left everything behind them – they left their country of origin, their wealth, their families. Through their astrology they knew that something wonderful was at the end of the journey, so they were willing to travel far, taking a difficult journey, led by a star that had appeared in the night. They somehow knew that the star that recently glowed in the sky foretold the birth of a mighty King, a special person, someone destined to be great. And so they were willing to make the perilous journey. On the way they encountered the machinations of a jealous king and were thrust into a political situation that didn’t want to be part of. But they continued. They persevered because there was this end in sight. Would they have been surprised to see their journey end at such a humble stable? A helpless child? Two simple parents? Even if they were surprised, they offered the child gifts, just as the child was to offer himself for us. Gold, frankincense and myrrh. Whether these were actual gifts or the Gospel’s writer’s way of making a theological point, we can see these gifts in retrospect as symbolizing love, worship of God and suffering – all three of which point to the life of the child before them. 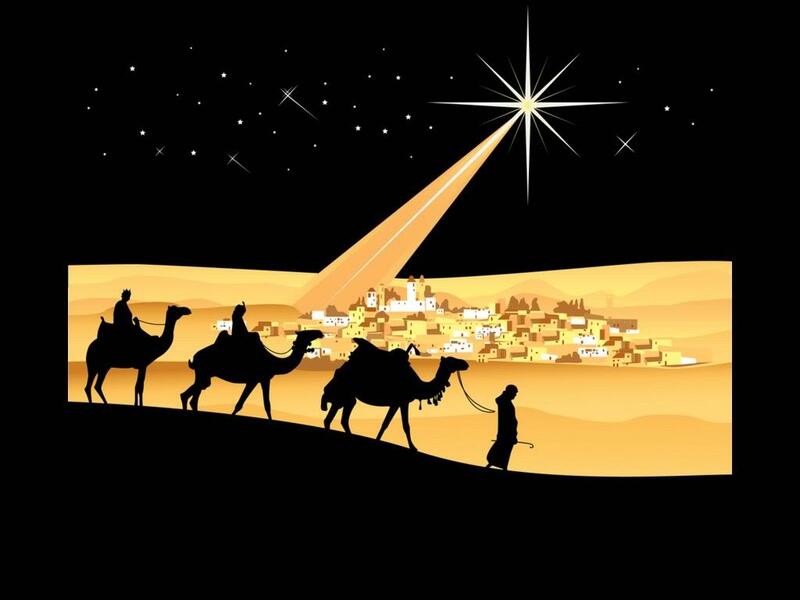 The story of the Wise Men may or may not have factually happened. It may have come from the inspired imagination of Matthew through the prophecies of Isaiah that we read today – “Nations shall come to your light, and kings to the brightness of your dawn.” (Is 60.3) and “They shall bring gold and frankincense, and shall proclaim the praise of the Lord.” (Is 60:6) But the truth still remains. Nations have come to know the Lord, and they know God through Jesus Christ’s suffering, his love and his obedience to God. What can we see of this in our lives today? Like the Wise Men we are on a journey as well. And if we are to have happy, fulfilled lives, we have to know the end of that journey. We have to see the star that tells us that our God is at the end of that journey waiting for us, and maybe not in the way we even imagine it. If we keep that end in sight, we can put up with the perilous journey that we take through life, the ups and downs of our relationships, the suffering and sickness, the plunderers, the sins that pull us down and weigh heavy on us, the depressions that we sometimes sink into. How do we keep going? What sustains us through all the bad parts of life? It is knowing what the end will be and how we can give God the gift of ourselves – our love, our praise, our sufferings. As the Psalmist says today: God delivers the needy one who calls…and saves the lives of the needy.” (Ps 72:12-13) And we are indeed needy on our journeys through life. Let the Feast of the Epiphany remind us of the Star that points out the end of that journey, and let us offer God our gold, frankincense and myrrh – our love, our praise and our suffering. Then we can enjoy life forever with God, and as Isaiah says today: “Then shall you see and be radiant; your heart shall thrill and rejoice.” (Is 60.5) And this is the very Good News that is our Star to guide us on this journey. God has indeed blessed us! We know that family life for many of us sometimes can be quite a difficult experience. It is easy for us to believe that because Jesus, Mary, and Joseph were such exceptionally good people, family life for them was not as difficult. But the passage from the gospel which we read today makes clear that the Holy Family suffered painful challenges just as we all do from time to time in the midst of our family life. 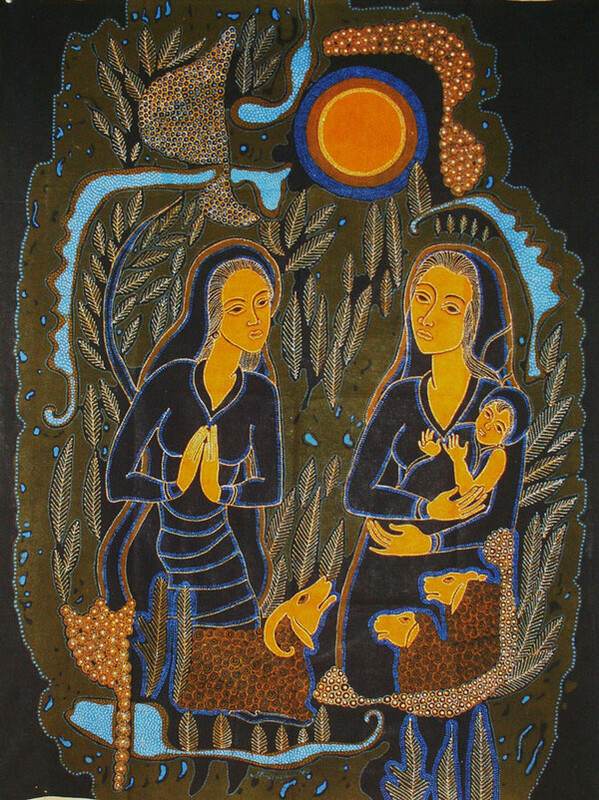 The trip to Egypt must have been very difficult for the Holy Family as they made their long trip with a new born in the midst of the fear of pursuit and uncertainty about what would sustain them in Egypt. In other words, when God entered human history, God occupied the ordinariness of human lives. The routines and sorrows and joys that attend the life of the world were blessed and sanctified and exalted by God’s embrace of them. Sometimes, the sameness and the difficulties of day-to-day life may overwhelm us, and we may grow numb at the ceaseless chores and dream of some world outside the one we occupy, but surely it can be a comfort to us to know that even if we don’t feel it, God has made all of it great and meaningful by God’s willingness to take part in it. 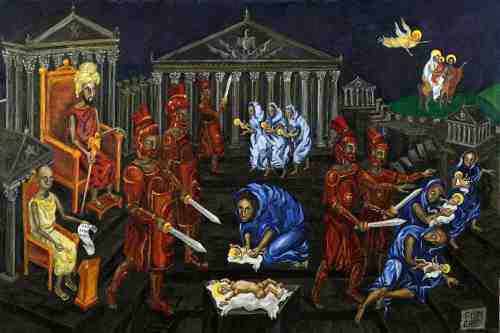 Reflection on the gospel reading: The Church calls the holy innocents “martyrs,” a word that in the Greek means witness. We Christians typically use the term “martyr” to refer to someone who accepts execution rather than deny Jesus; in other words, martyrdom involves a conscious choice to embrace death rather than violate relationship with the Lord. 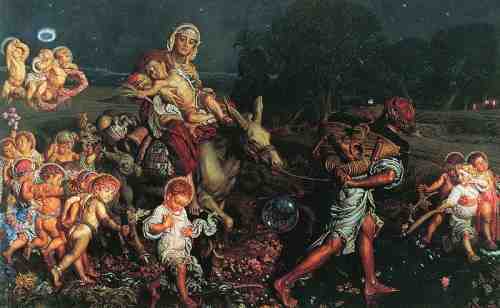 The holy innocents weren’t baptized, and they didn’t even know who Jesus is. They were hapless victims of circumstances that made them the wrong kind of people at the wrong place at the wrong time. If the holy innocents could not choose to affirm their belief in Jesus through their deaths, what kind of martyrs are they? These children are like so many other children born into war, famine, abuse, and disease: their witness is like a mirror to all the injustices rife in the world. They do nothing to merit punishment, yet they show us by their violation exactly what we are capable of doing. In this, they are martyrs, if they do not witness to us by their consciousness, their very existence is an accusation about all the injustices we support, directly and indirectly, consciously and unconsciously. All of these children–whether Herod’s innocents, or children victimized by gunmen, war, hunger, HIV, and other diseases–call on the consciences of humanity to stop our recklessness and act anew. Reflection on the gospel: On Christmas morning, the Church remembered that the Lord was born. Yesterday, on the feast of St. Stephen, we recalled that he died. And today, on the feast of St. John, the gospel reminds us that he rose from the dead. Our celebration of the incarnation of the Lord includes both shades of light and dark; as we celebrate the Lord’s coming among us, we recognize that suffering is a dominant theme in the life this child will live. In the account of the resurrection we have today, John enters the tomb, and seeing it empty, believes. Our rejoicing at the Lord’s birth is perhaps marred by the recognition that in short months we will recount the narrative of his passion, but John gives us the key to both the incarnation and the passion by his intuition that the resurrection of the Lord orders all the facts of the Lord’s life in a way that invites our faith. Saint of the day: Saint John the Apostle, also called Saint John the Evangelist or Saint John the Divine, flourished during the first century. 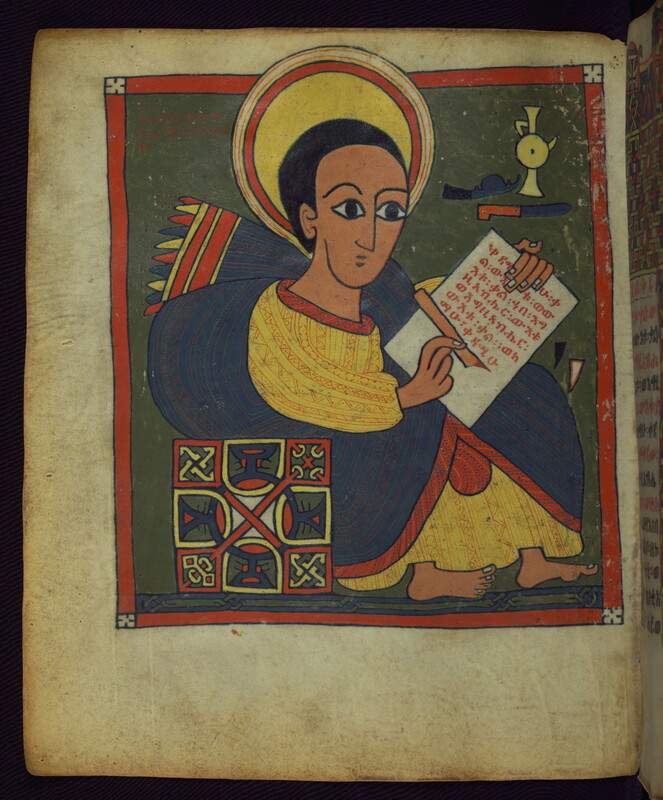 In Christian tradition, he is said to be the author of three letters, the Fourth Gospel, and the Revelation to John in the New Testament. He played a leading role in the early church at Jerusalem. 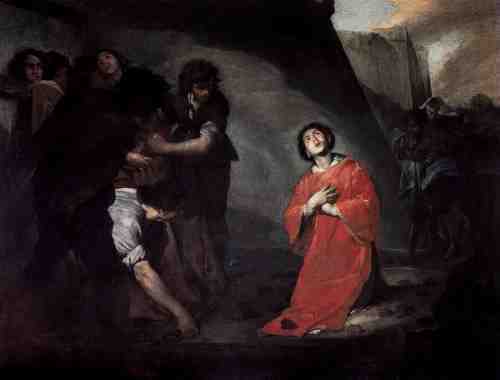 John was the son of Zebedee, a Galilean fisherman, and Salome. 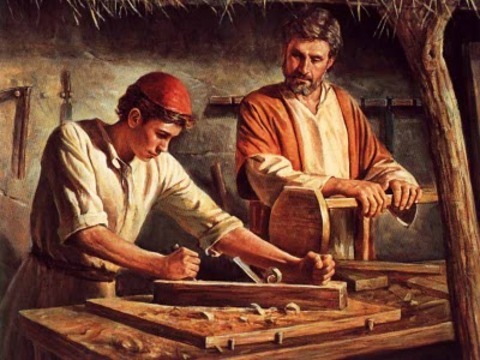 John and his brother James were among the first disciples called by Jesus. In the Gospel According to Mark he is always mentioned after James and was no doubt the younger brother. His mother was among those women who ministered to the circle of disciples. James and John were called by Jesus “Boanerges,” or “sons of thunder,” perhaps because of some character trait such as the zeal exemplified in Mark 9:38 and Luke 9:54, when John and James wanted to call down fire from heaven to punish the Samaritan towns that did not accept Jesus. 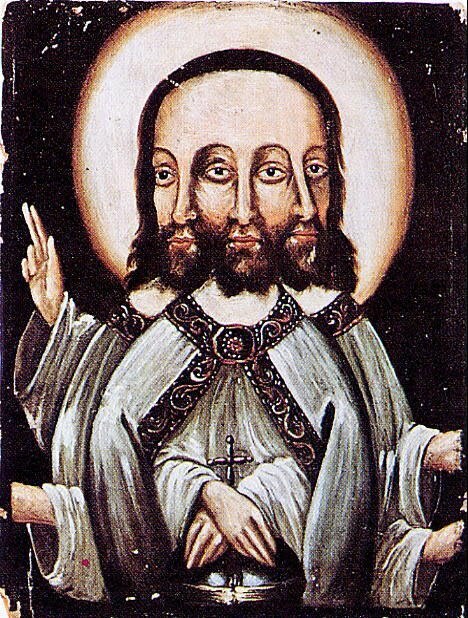 John and his brother, together with Simon Peter, formed an inner nucleus of intimate disciples. 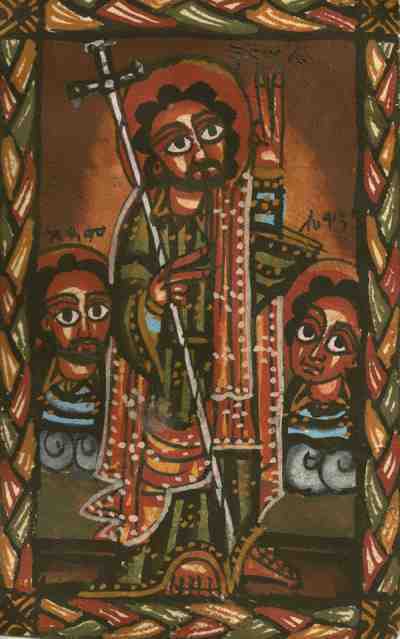 In the Fourth Gospel, ascribed by early tradition to John, the sons of Zebedee are mentioned only once, as being at the shores of the Sea of Tiberias when the risen Lord appeared; whether the “disciple whom Jesus loved” (who is never named) mentioned in this Gospel is to be identified with John (also not named) is not clear from the text. Reflection on the gospel reading: On the day after Christmas, we celebrate the feast of the first martyr, Stephen, a man who experienced the death and resurrection of Jesus so intensely in his life that he was willing to lay down his own life to witness to his Lord. There is some evidence that the juxtaposition of Christmas and Stephen’s feast might have been a coincidence, since the Church seems to have celebrated Stephen’s martyrdom on December 26 before it came to celebrate the nativity of Jesus on December 25. Whether or not Stephen’s martyrdom following promptly on the celebration of the Lord’s birth is a coincidence, this joining long has reminded believers about the point of the celebration of Christmas. Just as Stephen died to witness to his Lord, his Lord died to save Stephen. When we celebrate Christmas, we do not celebrate the birth of a baby except to meditate on the point of the baby’s birth. This baby was born with a purpose: to die and then to rise. At that time, as the number of disciples continued to grow, the Hellenist (Greek-speaking) Christians complained about the Hebrew-speaking Christians, saying that their widows were being neglected in the daily distribution. So the Twelve called together the community of the disciples and said, “It is not right for us to neglect the word of God to serve at table. Brothers, select from among you seven reputable men, filled with the Spirit and wisdom, whom we shall appoint to this task, whereas we shall devote ourselves to prayer and to the ministry of the word.” The proposal was acceptable to the whole community, so they chose Stephen, a man filled with faith and the Holy Spirit… (Acts 6:1-5). His speech brought anger from the crowd. “But [Stephen], filled with the holy Spirit, looked up intently to heaven and saw the glory of God and Jesus standing at the right hand of God, and he said, ‘Behold, I see the heavens opened and the Son of Man standing at the right hand of God….’ They threw him out of the city, and began to stone him…. As they were stoning Stephen, he called out, ‘Lord Jesus, receive my spirit…. Lord, do not hold this sin against them’” (Acts 7:55-56, 58a, 59, 60b). It seems he was martyred in about 36 AD, perhaps three or so years after the Lord’s death and resurrection. 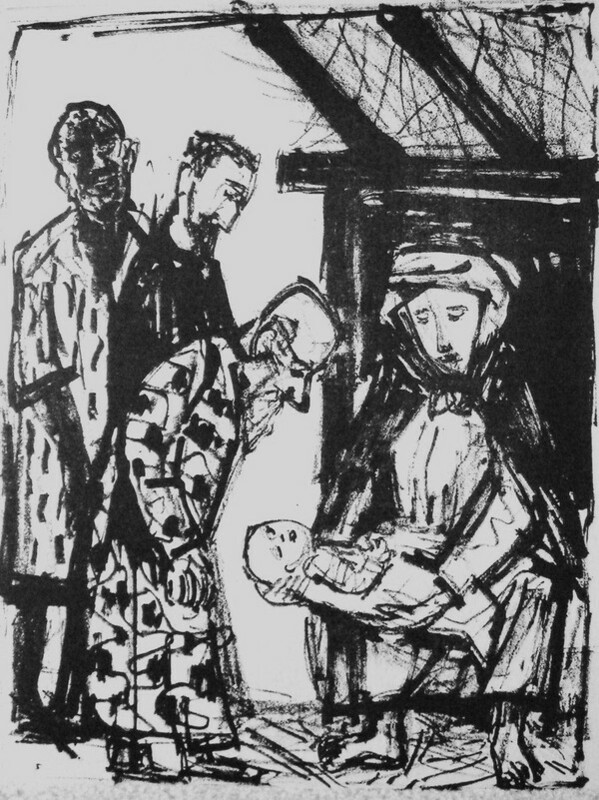 Reflection on the gospel reading: God has come as a baby into this wounded and messy world. God has chosen to enter our hurting world with all its injuries, fears, and refusal to love. We celebrate the day with gauzy visions of magic and elves, but at its root, Christmas is no story about fairies lodged in a garden. The good news God invites us to carry with us is that God became one of us, one just like us with occasional bouts of the runs and the recurring need of a bath. He came as an infant–vulnerable, weak, and defenseless. And yet through his defenselessness, his message has spread to every corner of the world in a way that this day in some way touches almost every Christian and non-Christian life on the planet. Christmas promises us that despite every adversity and each trial, God is with us. And that all shall be well. And that everything shall be well. And that every manner of thing shall be well. We praise God that Jesus is the same yesterday, today, and forever. Merry Christmas from my heart to yours. Today’s feast of the Holy Family brings up the whole concept of family and marriage and how they are seen and lived in olden times as well as today. In Jewish Biblical times, a marriage was an arranged affair between two families, oftentimes even cousins, which was a formal contract. In those times, a woman had no standing or place in that society except as a wife. While the husband had a duty to look out for her and raise the children they might have, it was a male society. Wives raised the children and the boys when they reached 12 years of age joined the men and began to be taught and trained by their Father. Frequently, love followed in these relationships of husband and wife, but the key was faithfulness to the contract and the honoring and respecting of one another. Of course, extended families never moved far away and many authors note that the Hamlet of Nazareth with a population of about 100 were pretty much related as cousins in one way or another. Remember we talk of a time when people did not travel much except to Jerusalem to the temple. I realize this is far different from what we picture with the word family today, but it is not the first time that we modernize and Americanize a reality from the scriptures different form what it is now. If we look at family as we see it we don’t really look at it as a contract(although the state does) but as a relationship which is very much born out of love. Even in the Church’s understanding of the Sacrament of marriage the idea of love is strong and the relationship of the two people is emphasized. Marriage is even seen as a sign of the relationship and love Christ has for His church. In the many weddings I have done I have seen so many couples ready to share their love and assume the life unfolding before them. Mutual love and respect and sharing brings them closer and hopefully leads to a happy life. Marriage today is more hands on and more of a partnership. Women and men share the tasks of home and hearth and also in the rearing of their children. 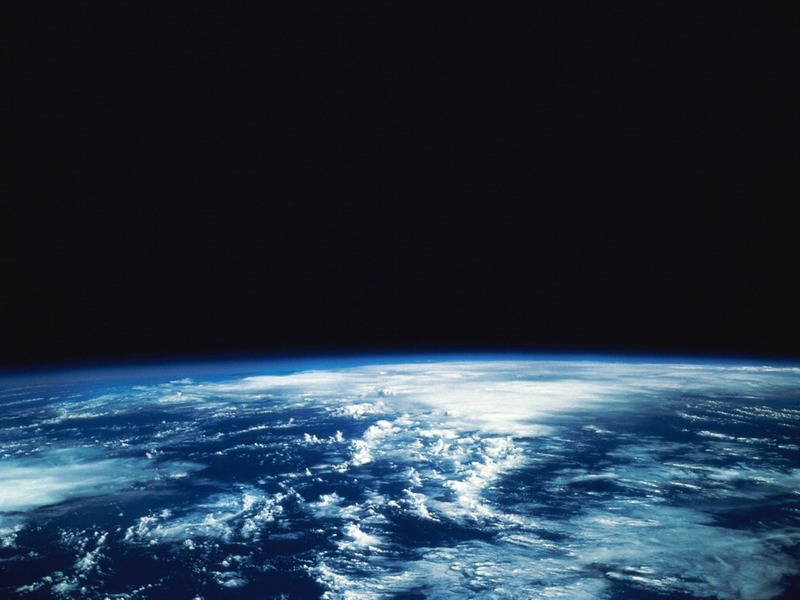 It is certainly different from biblical times just as our world outlook is different. Being different doesn’t change the importance of marriage and family. However, I think we know that relationships are not easy things because they take a lot of work. Whether we go back to Mary and Joseph’s time or look at our own time marriage is hard work requiring steadfastness and love. Relationships, living together, working together can be positive but sometimes people will fail, relationships end and separation occurs. Weakness and failure are things that unfortunately occur in our human condition. Maybe, and I only say maybe, over the centuries we have learned to understand humanity’s failure with the compassion of Jesus. Who better to identify as our judge and author of forgiveness? Throughout his ministry he kept meeting those who sinned and failed and yet he forgave and sent them on saying go and do it no more. He certainly condemned no one for trying and is there for those who fail. In a time such as ours when marriages fail at an alarming rate, A compassionate loving Lord is there to console. That people move on and try again to find the comfort and love of a marital relationship is better than a life of solitude and dysfunction for the individual. While this may not be the ideal, the sister sacrament of penance reminds us that we do often falls short of the ideal but in the end our faith and the cross saves us. So, today we should give thanks for our families and the lives we share.